4 full-size tennis courts unit, nearly 400 days of work and 6,800 tons of prefabricated steel used. Efect? 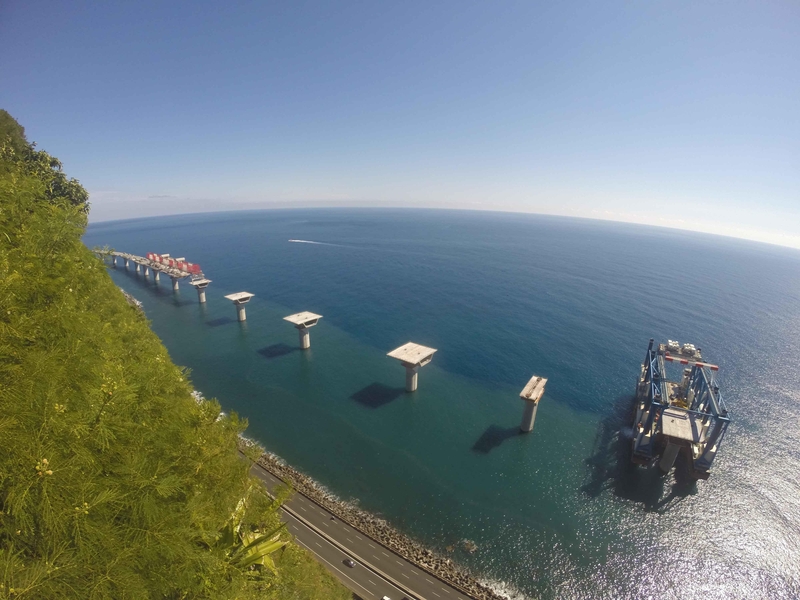 A specialized jack-up barge that built the foundations for the highway around the island of Reunion, near Madagascar. The project that the unit was working on is coming to an end. 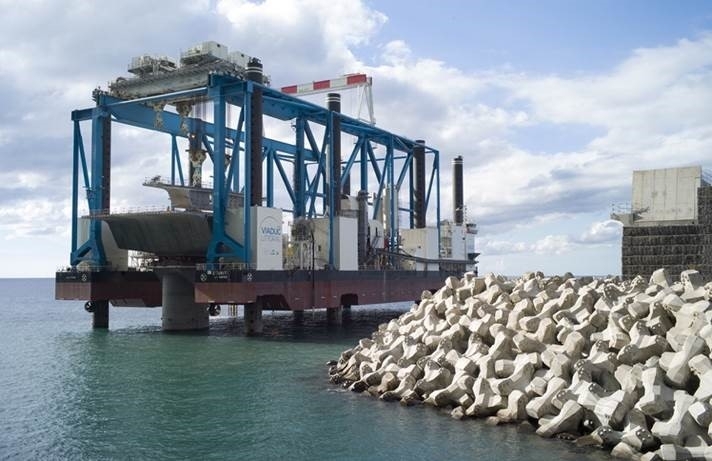 Zourite, or from the French octopus, is the name of the unit with construction number 105, which was built by CRIST S.A. commissioned by Bouygues Travaux Publics S.A. This is another CRIST "turnkey" project with fully equipped systems enabling the unit to perform its work. In accordance with its intended purpose, the barge was used to build the longest and - as project critics point out - the most expensive French sea viaduct. The unit operated around the Island of La Réunion, which is the overseas department of France, located in the Indian Ocean characterized by a dangerous, eroded coastline. The viaduct, 5.4 km long, is mostly in the sea. It was there that the NB105 unit carried out its tasks. The viaduct was placed at a height of nearly 30 m n.p.m. The Viaduc du Littoral project (Coastal Viaduct) would not have been possible without the non-standard specification of the NB105 unit. 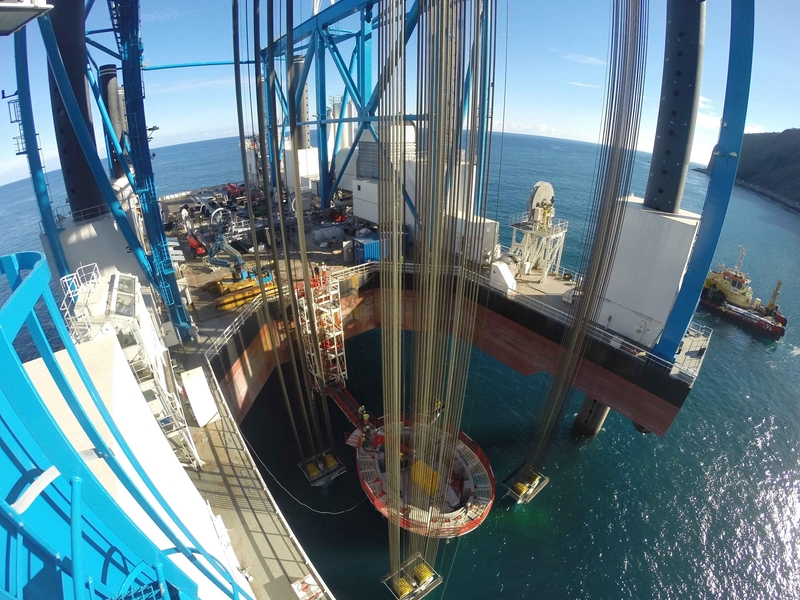 It was equipped, among others in two gantry cranes - each of them with a capacity of 2400 t and a span of 30 m. The construction of the road was also possible thanks to eight jack-up legs - using them the ship is able to lift 14 m above the water level. NB 105 has the ability to load, transport and install foundations for road construction. Copyright 2014 - CRIST S.A.